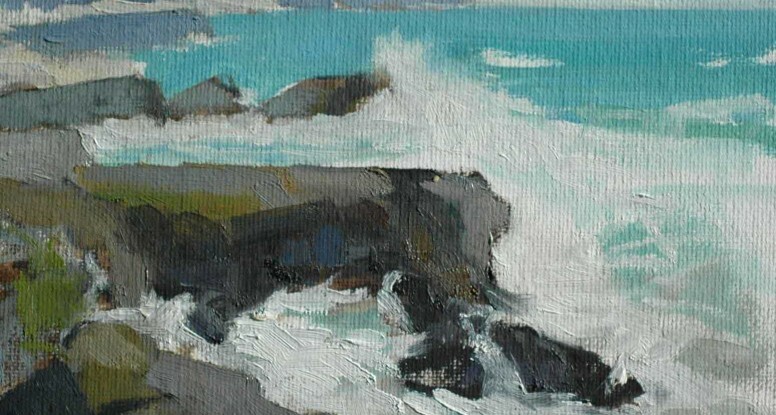 The rocky coast and dynamic ocean waves are a constant source of inspiration. The rocks stand strong against the constant pounding of the surf that rolls in, one set after another, relentless in its constant attack, yet strangely connected and at peace. One can almost taste the salty mist as the waves spray and become airborne. I hope to somehow capture not only the physical beauty but, for all those that love the ocean, the memory of the total sensory experience that lures us back, again and again.